Whether you’re an operator or a service provider, GC Solutions can save you money and boost profits through efficient cleaning and recycling of water. Amagel™ technology quickly and thoroughly separates oils, dirt, and other contaminants from water at about half the material costs of other technologies. The proprietary Amagel™ processes are fast, energy- and space-efficient, and environmentally responsible. Your wastewater becomes oil for the sales tank, water suitable for sale or reuse, and a relatively small volume of dry, easy to handle solid product. The oil and gas industry produces approximately 14 billion barrels of water annually, making it by far the largest waste stream associated with oil and gas recovery. 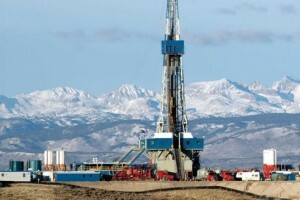 Horizontal drilling and completion techniques have significantly increased the amount of water used in oil and gas well development, too, with fracking jobs in shale plays now commonly requiring between two million and six million gallons of water. Competition and regulations on where water can be acquired and what can be done to dispose of unusable fluids are also tightening, making fresh water more expensive to acquire and waste water more expensive to dispose of. With public scrutiny and low commodity prices providing further challenges, both industry critics and insiders are turning their attention to developing ways to recycle produced water. 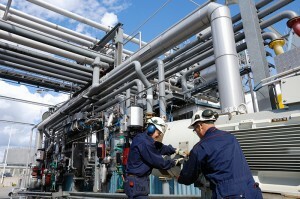 Recycling, or beneficial use, of oil and gas wastewater, both within and outside the oil and gas industry, has gained great attention in the past few decades. Early recycling, or beneficial uses, included application on roads and well sites for dust control and various uses in agricultural operations. These types of use have been almost entirely terminated by water quality concerns. Regulations have also terminated surface disposal as an option in most areas, including disposal by evaporation. The historic cost of cleaning water sufficiently for any kind of beneficial use has thus resulted in most industry wastewater being injected underground. GC Solutions and Amagel™ are providing the most modern water treatment solutions for the upstream oil and gas industry – solutions that help operators minimize costs and maximize profits while meeting the safety and environmental concerns of regulators and surrounding communities. GC Solutions helps companies develop water recycling systems that reduce their environmental waste, lower their need for fresh water, and even provide new revenue. A key problem with oil and gas waste waters is the presence of fine particles of solid matter that bind to hydrocarbons and float in suspension. These suspended solids, especially when bound to hydrocarbons, are in large part what keeps produced water and fracking fluid from being reusable. The Amagel™ polymer solves this problem because Amagel™ latches onto solids and releases hydrocarbons. The hydrocarbons then consolidate into droplets and float upwards to form a recoverable volume while particulates settle downwards, leaving clean, reusable water in between. If the solids are removed from the system and allowed to drain, almost all the entrained water will quickly run out and can be captured as more clean water for reuse while leaving a final solid product that is light and easy to handle. The Amagel™ process has been proven to work with a range of water qualities including oil- and water-based drilling mud, completion fluids, and produced water. In all tests run to date, Amagel™ technology successfully captures and settles out solid material down to one micron, freeing hydrocarbons to separate from the water, too. 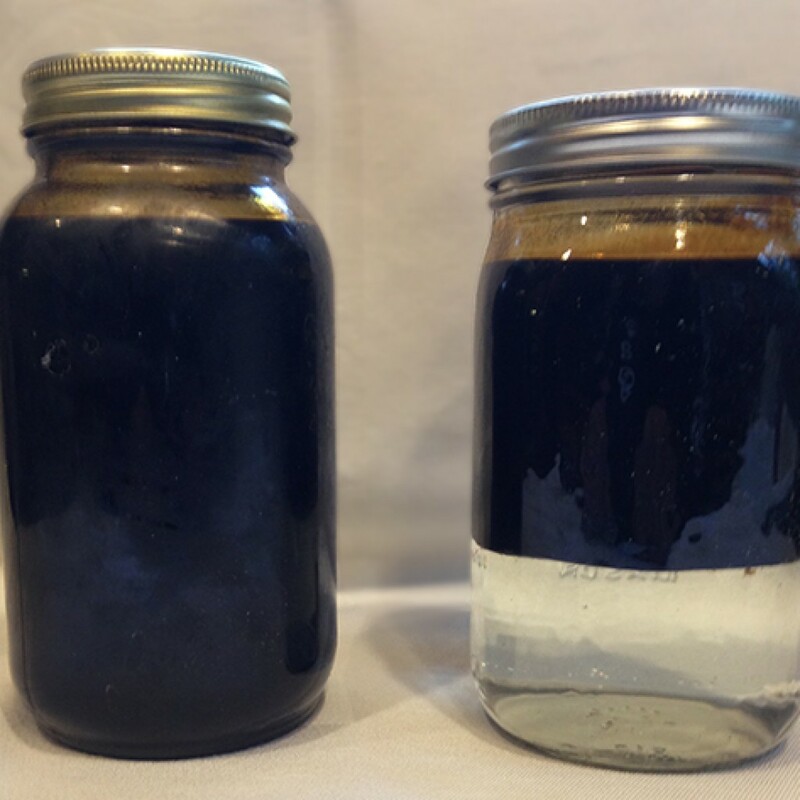 In a demonstration of Amagel ability to treat a heavy mixture of drilling mud and fracking fluids slated for disposal at a commercial waste site, two 1,500 gallon tanks of fluid yielded 700 gallons of sellable oil. The oil was tested twice and found in both tests to be 99% pure. Amagel™ is a game-changer, poised to make recycling and beneficial use of waste water into the oil and gas industry standard. Amagel™ technology can be efficiently employed on drill sites, at waste facilities, or anywhere else that water is collected. During drilling operations, Amagel™ can be used at the wellsite to clean drilling mud for reuse, to dry cuttings, and to clean water drained off of cuttings or out of cement wash sites for reuse. Suspended hydrocarbons can also be captured for use as fuel or for sale. Solid products will be drier, lighter, and easier to handle. In some circumstances, solid products may also be sold for revenue. Amagel™ can also be used to clean wash water, resulting in a clean tank of water for the next job and a relatively small volume of true waste to be disposed. In completions, similarly, Amagel™ can be employed at the wellsite to clean flowback water, separating product from frac fluid, leftover drilling mud, and formation chips and cuttings. Amagel™ quickly captures suspended solids and releases oil, so you can sell product faster, even from the first days of flowback after a completion! Amagel™ can also be used to clean wash water, resulting in a clean tank of water for the next job and a relatively small volume of true waste to be disposed. In production operations, Amagel™ can be used to clean produced water for sale back to the industry for use such as in drilling mud, fracking fluid, and wash water. Depending on the exact treatment, additional beneficial uses could be possible in agriculture or other industrial operations. I consent to GC Solutions Inc. collecting my details through this form.